Let’s relive the amazing time we had a few months ago at a screening in Surya and Jaai Kakani’s studio. This time we are screening a film called “Teen aur aadha” (three and a half). 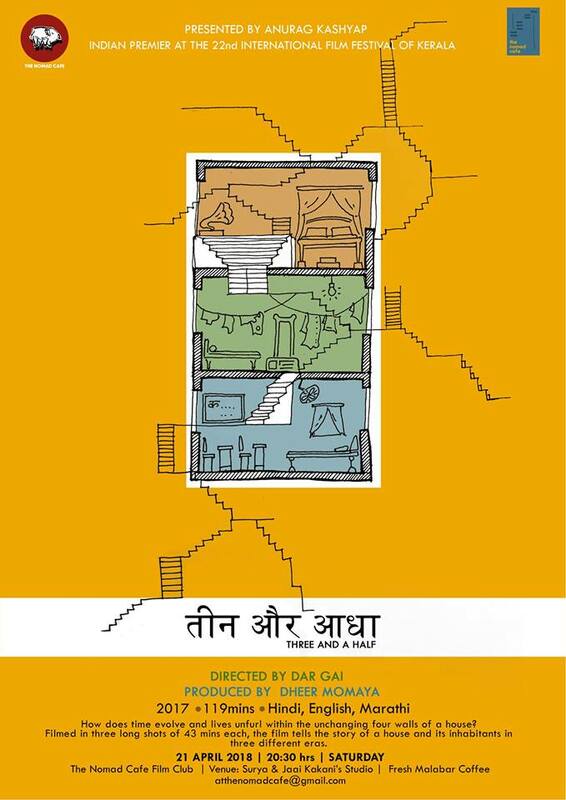 Directed by Daria Gai, presented by Anurag Kashyap and produced by Dheer Momaya, this film tells the story of a house and its inhabitants in three different eras. How does time evolve and lives unfurl within the unchanging four walls of a house? all the struggles and success which encompass human life. Winner of several national and international awards, this film is an abstraction of time in the context of architecture, hence it is perfectly apt to be screened at a venue which has so much to do with architecture.